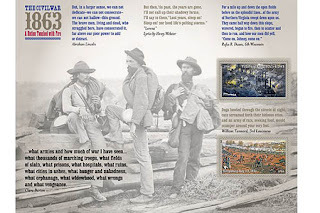 ASU Professors To Write Book On Civil War From New Perspective, Appalachian State University News Service, May 29, 2013. With more than 55,000 books in print about the Civil War, one might assume that there is no new information to be gleaned about the event that separated states, communities and families. 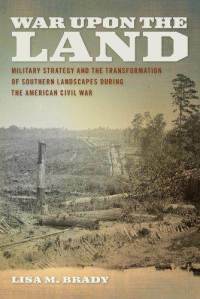 But there is a topic that has received scant attention — the environmental history of the Civil War. Professor Timothy Silver and associate professor Judkin Browning from the Appalachian State University Department of History have aligned their academic interests on a project that has received a $100,000 collaborative research fellowship from the American Council of Learned Societies. Silver is an environmental historian and the author of “Mount Mitchell and the Black Mountains: An Environmental History of the Highest Peaks in Eastern America” (University of North Carolina Press) and “A New Face on the Countryside: Indians, Colonists and Slaves in South Atlantic Forests, 1500-1800” (Cambridge University Press). Browning is a military historian and the author of “The War Begins Anew: The Seven Days’ Campaign, 1862” (Praeger Publishers) and “Shifting Loyalties: The Union Occupation of Eastern North Carolina” (University of North Carolina Press), as well as other books about Civil War leaders and military campaigns. “Essentially, we plan to recast the Civil War as an environmental event and not so much as a military conflict,” Silver said. The book will illustrate the war’s disruptive influence on the relationships between people and nature and how natural factors, such as disease, malnutrition and weather, helped shape the course of the war, according to information from ACLS. The historians will document how the large-scale movement of troops and animals changed communities and towns, including the effects of disease outbreaks, such as measles and typhoid in humans and diseases that affected animals, such as hog cholera and glanders in horses. Silver said that Union and Confederate soldiers accused each side of releasing diseased horses in an effort to infect their enemy’s herds. As a military historian, Browning has many examples of battles that were determined in some ways by the weather. For example, the largest battle in Kentucky might not have happened if it had rained more in the area during the summer and fall of 1862. Challenged Story----Descendant of POWs on Stamp: Is It Family Folk Lore? 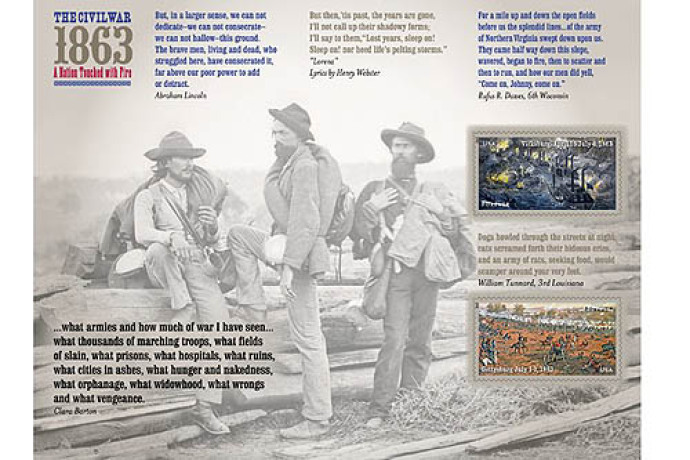 Following is a portion of the discussion regarding the barber's declaration that the three Confederate POWs in the famous photograph are his relatives. This discussion is on the Pittsburgh Post-Gazette's webpage for the article. I pulled the service records for all three (and looked them up in the NC Troop roster) and theyall come from the same region of North Carolina (Ashe, Alleghany, Wilkes Counties). Only one minor problem, the Andrew who is mentioned as being a member of the 30th NC was wounded in the right lung at Chancellorsville and died of wounds on June 19, 1863, almost an entire month before the battle of Gettysburg. In addition to that the ages of the men make the story a bit difficult, Andrew was listed as being 21 years old when he enlisted on September 21, 1862, Ephraim Blevins is listed as 18 years old at the time of his enlistment on August 15, 1862. Somewhat difficult to be the father when you are only separated by three years. This does not mean one or two could not be identified, but I am still very skeptical of this, especially with the identification of Andrew Blevins." "Re Andrew Blevins of the 30th NC: Even in the case that his wounding at Chancellorsville and subsequent death on June 19 MIGHT POSSIBLY have been erroneous, the 30th NC Regiment of Ramseur's Brigade did not take part in the Confederate assault of the third day at Gettysburg. They had been positioned in what was called "long lane" opposite the bend in the federal lines below Cemetery Hill. They did not fight at Gettysburg after the first day, out on the Forney Farm at Oak Hill." "There is only one Andrew Blevins listed on the rolls of the 30th NC. Each one of these men are listed as being in three separate regiments, in three separate brigades, in three separate divisions in the Army of Northern Virginia. That to me is another of the red flags of this story. I do not believe anyone has claimed that these men are survivors (or if they have I missed it) of Pickett's Charge (of the three regiments only the 37th NC took part). Sadly I would have loved for this story to be true, but there are just too many holes in the historical record that do not match up with the story from Mr. Dollinger." A Postal Service Event In Gettysburg Features A Descendant of Rebels In A Famous Stamp Photo, Tom Barnes, Pittsburgh Post-Gazette, May 23, 2013. Ever since 1949 -- when he was only 10 years old -- Clate Dolinger of southwestern Virginia has known that the three Confederate soldiers in a famous Civil War photo taken in July 1863 were his ancestors. "The soldier on the right is Andrew Blevins, and he was my granddaddy's granddaddy," he said in a cell phone interview Wednesday. "The one on the left is his son, Ephraim Blevins, and the one in the middle is my grandmother's great-uncle, John Baldwin." Mr. Dolinger spoke to a reporter while making a six-hour drive from his home in Pembroke, Va., to Gettysburg, Pa., where today he will speak at a news conference held by the U.S. 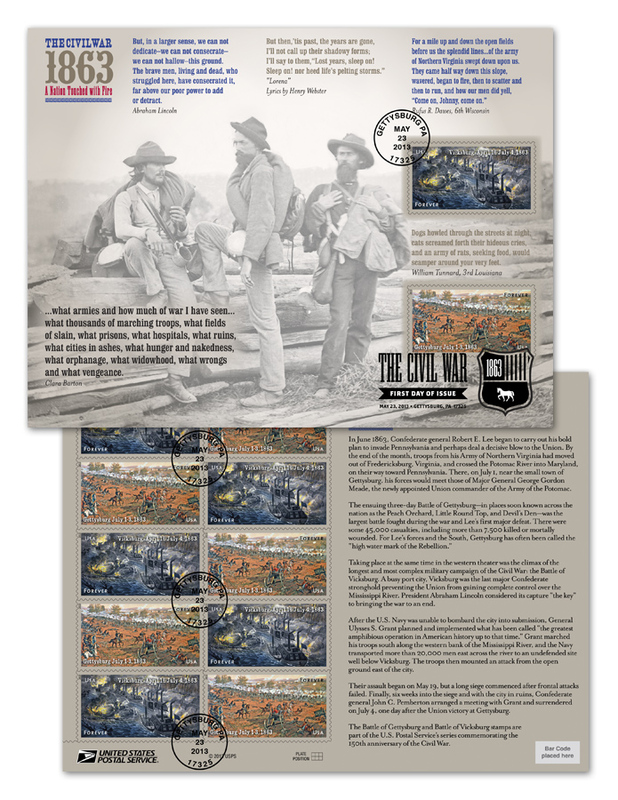 Postal Service as it unveils a new postage stamp honoring the battle of Gettysburg and, in particular, a part of it called Pickett's Charge, fought July 3, 1863. The stamp shows Southern forces under Gen. George Pickett trying unsuccessfully to dislodge Union forces from a hilltop stronghold. On the back of each sheet of Gettysburg stamps will be the photo taken by famed Civil War photographer Mathew Brady, showing the three Confederate soldiers related to Mr. Dolinger. They were taken prisoner on the battle's last day. The photo shows them carrying extra bedrolls but without weapons. They shuttled to various prison camps and often were put on burial detail. "Humiliated and knowing they would be transferred to a POW camp, they collected extra clothing and blankets from the dead, to prepare for their internment," Gettysburg officials said in a news release. The three Southerners weren't released by Northern officials until after the war ended in April 1865. Mr. Dolinger said he stopped into his local post office a couple weeks ago and saw a sheet of the new Pickett's Charge stamps, with the photo of his family members on the back. "I told the postal clerk that I wanted five sheets of these stamps," he said. "She said why, and I said, 'Because that's my kin.' She said, 'The men in the photo are your people?' and I said yes. They were drafted into the [Confederate] army and they had to go." 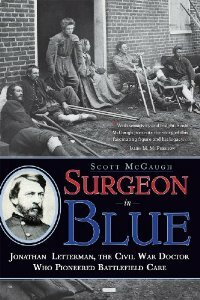 Surgeon In Blue: Jonathan Letterman, The Civil War Doctor Who Pioneered Battlefield Care, Scott McGaugh, Arcade Press, 30 black and white photographs,bibliographic notes, bibliography, index, 340 pp., hardcover, $25.95. 2013, Available July 1. From the publisher: Jonathan Letterman was an outpost medical officer serving in Indian country in the years before the Civil War, responsible for the care of just hundreds of men. But when he was appointed the chief medical officer for the Army of the Potomac, he revolutionized combat medicine over the course of four major battles—Antietam, Fredericksburg, Chancellorsville, and Gettysburg—that produced unprecedented numbers of casualties. He made battlefield survival possible by creating the first organized ambulance corps and a more effective field hospital system. 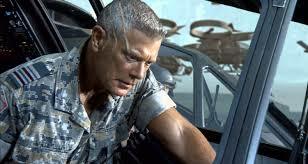 He imposed medical professionalism on a chaotic battlefield. Where before 20 percent of the men were unfit to fight because of disease, squalid conditions, and poor nutrition, he improved health and combat readiness by pioneering hygiene and diet standards. Based on original research, and with stirring accounts of battle and the struggle to invent and supply adequate care during impossible conditions, this new biography recounts Letterman’s life from his small-town Pennsylvania beginnings to his trailblazing wartime years and his subsequent life as a wildcatter and the medical examiner of San Francisco. At last, here is the missing portrait of a key figure of Civil War history and military medicine. His principles of battlefield care continue to be taught to military commanders and first responders. CWL: From a review copy---the bibliographic notes run from about 20 to 50 for each chapter and range from the December 1865 Atlantic Monthly essay on the Gettysburg Battlefield, a 2004 PhD dissertation on Letterman's development of a battlefield evacuation system and Gettysburg Licensed Battlefield Guide Phil Lechak's A Blue and Gray Sea of Misery [unpublished]. McGaugh spent a full day with 'brogans on the ground' with Lechak. Also, McGaugh has found a rare photograph of the home in which Letterman was born in Canonsburg, Pennsylvania [three miles from CWL's house]. There are four chapters on four battles; Antietam, Fredericksburg, Chancellorsville and Gettysburg. Other chapters focus on Letterman's July 4 1862 rise to command on of the Army of the Potomac's medical service and his service of coroner for the city of San Francisco. The book's spine is firm and the text block falls open easily. CWL is anxious to begin Surgeon In Blue: Jonathan Letterman, The Civil War Doctor Who Pioneered Battlefield Care. 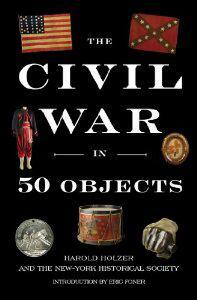 New and Noteworthy---The Civil War In 50 Objects? From the HNN review: "The task of choosing 50 objects was a difficult one, given the enormous amount of artifacts the Society has from the time period. In The Civil War in 50 Objects, distinguished Civil War scholar Harold Holzer strikes a fine balance between political, social, cultural, military, and economic history, discussing a wide range of paintings, letters, weapons, photographs, woodcuts, uniforms, drums, diaries, petitions, drawings, and documents. There is something here for any student of the Civil War. And by distilling the conflict to a manageable number of objects, described in chronological order, Holzer gives the era a sense of clarity, allowing one to walk through the conflict’s key events and themes. "The writing is engaging, lively, gripping, and riveting at every turn, with wonderful dramatic pacing. Chapters are filled with countless touching tales that link the objects with the era’s larger history. "Holzer ends nearly each of the brief 50 chapters with a wonderful story, nugget, or turn of phrase. Among them: a slave that returns to a plantation and, during a brawl, killed his wife’s excessively cruel former master; an artist whose work during the war changed from stereotypical views of blacks towards a sympathetic portrayal of their plight is described as “in the space of just three years … also liberated” (15); the tale of a New Yorker who fought for the Confederacy and died in action -- on April 14, 1865; a painting that was reassembled in time for the New-York Historical Society recent reopening after extensive renovations -- on November 11, 2011, Veteran’s Day; the Georgian who stated that “If slaves will make good soldiers, our whole theory of slavery is wrong,” prompting Holzer to write: “By war’s end, the 200,000 or so African American men in arms proved [his] point” (158); though northern newspaper accounts after the Battle of Gettysburg were full of optimism, “In fact, the war was only halfway over” (188); Holzer’s outrage that “none of the rioters who plundered and torched the Colored Orphan Asylum” during the 1863 New York Draft Riots “was ever brought to justice” (214); an amusing list of predictions from the 1864 Metropolitan Fair of New York about life in the city in 1964 that would actually come true. When Lee at his surrender met Grant’s military secretary, Ely S. Parker, a Seneca Indian, Lee reportedly paused, and then said “I am glad to see one real American here,” to which Parker responded, “We are all Americans” (315)." The author of these remarks is Bernard von Bothmer is an adjunct professor of history at the University of San Francisco and Dominican University of California. Guide to Gettysburg Battlefield Monuments, Tom Huntington, Stackpole Books, Inc., 2013, 234 pp., profusely illustrated with color photographs,, 39 color maps. $9.95. 7 1/4 inches tall, 4 1/2 inches wide and 1/2 thick, Huntington's Guide to Gettysburg Battlefield Monuments fits both on a dashboard or inside a pants back pocket. A strong flexible binding encourages its frequent use. The locations of over 800 monuments, tablets and markers are presented with both GPS locations and map locations. The text offers "a bit about each monument, the division or person each one honors and whet the honoree did during the fighting." Additionally it includes listings, location and coordinates for all the tablets. Monument descriptions with color photographs are organized by state. Following these descriptions, additional monuments that memorialize brigades, divisions, corps, people are included. The year of dedication is included for both the state and additional monuments. Each monument is numbered and the number appears on a map; there are maps A through GG at the back of the book. 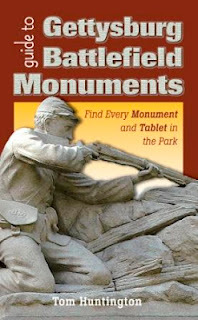 Guide to Gettysburg Battlefield Monuments is an attractive, easy to use, and informative book for visitors to the battlefield, readers and students. Into The Fire: An First Hand Account of the Most Extraordinary Battle in the Afghan War, Dakota Meyer and Bing West, Random House, 259 pages, 2012, $27.00. 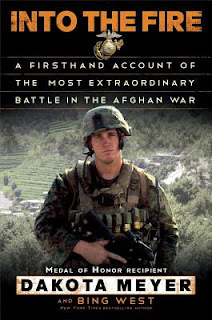 From the Publisher: During the fall of 2009, Taliban insurgents ambushed a patrol of Afghan soldiers and Marine advisers in a mountain village called Ganjigal. Firing from entrenched positions, the enemy was positioned to wipe out one hundred men who were pinned down and were repeatedly refused artillery support. 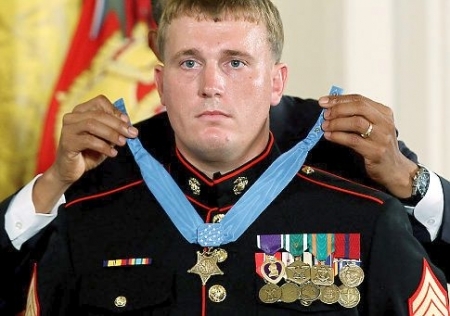 Ordered to remain behind with the vehicles, twenty-one year-old Marine corporal Dakota Meyer disobeyed orders and attacked to rescue his comrades. We see it all through Meyer’s eyes, bullet by bullet, with raw honesty in telling of both the errors that resulted in tragedy and the resolve of American soldiers, U.S. Marines, and Afghan soldiers who’d been abandoned and faced certain death. Meticulously researched and thrillingly told, with nonstop pace and vivid detail, Into the Fire is the unvarnished story of a modern American hero. CWL: When U.S. Army leadership failed, and when Washington DC policies contradict the situation on the ground, Sergeant Dakota Meyer did everything in his power to save the lives of his comrades in arms, both Marine and Afghan. Born and raised in rural Kentucky, Meyer excelled as a Marine Corps school trained sniper and then as a combat infantryman. In a combat situation in which everything that could go wrong did go wrong, Meyer provided boots-on-the-ground leadership and courage. Into The Fire: An First Hand Account of the Most Extraordinary Battle in the Afghan War is an clear and concise story of an unrealistic Pentagon policy crafted in Washington, D.C. that encumbers the effectiveness of combat teams and their ability to call in artillery fire and reconnaissance support. An unnecessary tragedy occurred at Ganjigal. Those who thoroughly enjoyed 2012's Cain At Gettysburg will greet Hell or Richmond. 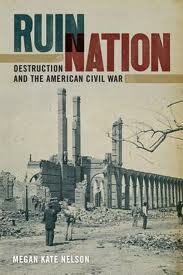 From the publisher: Between May 5 and June 3, 1864, the Union and Confederate armies suffered 88,000 casualties. Twenty-nine thousand were killed, wounded or captured in the first two days of combat. The savagery shocked a young, divided nation. Against this backdrop of the birth of modern warfare and the painful rebirth of the United States, New York Times bestselling novelist Ralph Peters has created a breathtaking narrative that surpasses the drama and intensity of his recent critically acclaimed novel, Cain at Gettysburg. In Hell or Richmond, thirty days of ceaseless carnage are seen through the eyes of a compelling cast, from the Union’s Harvard-valedictorian “boy general,” Francis Channing Barlow, to the brawling “dirty boots” Rebel colonel, William C. Oates. 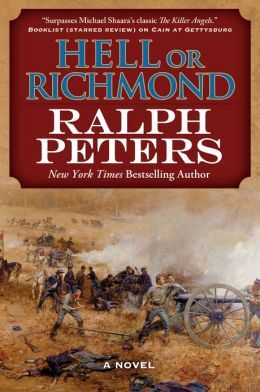 From Ulysses S. Grant and Robert E. Lee to a simple laborer destined to win the Medal of Honor, Peters brings to life an enthralling array of leaders and simple soldiers from both North and South, fleshing out history with stunning, knowledgeable realism. From the horrific collision of armies in the Wilderness, where neither side wanted to fight, to the shocking slaughter of the grand charge at Cold Harbor, this epic novel delivers a compelling, authentic, and suspenseful portrait of Civil War combat. Commemorating the approaching 150th anniversary of this grim encounter between valiant Americans, Ralph Peters brings to bear the lessons of his own military career, his lifelong study of this war and the men who fought it, and his skills as a bestselling, prize-winning novelist to portray horrific battles and sublime heroism as no other author has done. Ralph Peters, New York Times bestselling author of Cain at Gettysburg, is a retired U.S. Army officer, a controversial strategist and veteran of the intelligence world, a journalist who appears frequently in the broadcast media, and a lifelong traveler with experience in over seventy countries on six continents. In addition to works under his own name, he is also the author, under the pen name Owen Parry, of a series of award-winning Civil War mysteries. Peters has studied the Civil War since childhood. Combining painstaking research, years of walking those fields of battle, with insight gleaned from his own military career, Ralph Peters tells this great American tale in a masterful style. CWL: Just received a copy and will start it this weekend. Grand expectations!! 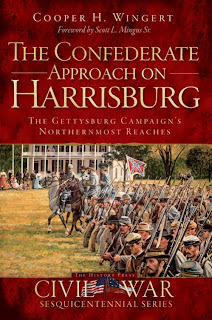 The Confederate Approach On Harrisburg: The Gettysburg Campaign's Northernmost Reaches, Cooper H. Wingert, History Press, 222 pages, 45 illustrations, 8 maps, appendices, bibliographic notes, bibliography, index, 2012, $21.99, trade paperback. 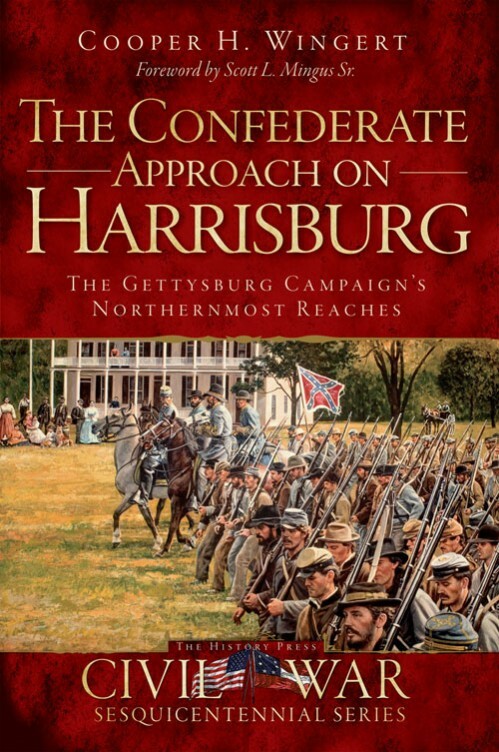 Pennsylvanians, fans of the Army of Northern Virginia and enthusiasts of the 1863 Pennsylvania Campaign are well served by Cooper Wingert's The Confederate Approach On Harrisburg: The Gettysburg Campaign's Northernmost Reaches. Personalities, terrain, military objectives are smoothly woven into a compelling story of an invasion and an emergency response. On June 15 1863, while wading the Potomac river, Richard Ewell's Second Corps of the Army of Northern Virginia, understood that Pennsylvania was the target and Harrisburg was the bull's eye. On June 12 Governor Andrew Curtin anticipated the invasion and called up the state's militia for the dual purpose of patrolling Fulton, Adams and York counties and constructing defenses for Harrisburg. During the next fifteen days, Chambersburg, Gettysburg, Carlisle and York would be seized by Ewell's divisions and their assigned cavalry escorts. orders reached him from Lee. Ewell's divisions [Rodes, Early, and Johnson] were to return to the Chambersburg-Gettysburg area. Wingert presents clearly and concisely the many personalities and circumstances of Ewell's approach to Harrisburg. Maps are admirably drawn by John Heiser, cartographer for GNMP and Gettysburg Magazine. Photographs include the many well known soldiers and civilians; many photographs are historical and present day images of regional locations. Wingert provides an insightful and detail discussion of the Confederate march further east of Gettysburg. Segments of the text are short and focused; the author stays within the limits of the primary sources available; artificial suspense is not injected into the story. The Confederate Approach On Harrisburg: The Gettysburg Campaign's Northernmost Reaches is an example of local history well written. Richard Bridges seemed like a typical college kid in his letters home: He tells his family he may need more money and definitely more clothes, talks about hanging out with old friends from home and sounds a little homesick at times. Through his letters, this one-time University of Mississippi student has returned to the Oxford campus 150 years later. Through the years, the letters were tucked away for safekeeping. After Martin’s mother died, the letters ended up in Owen’s possession. “We talked about how to keep them safe,” Martin said. Eventually, the family decided to contact officials at the university to see if they wanted them. “The letters needed to be back where he was,” Martin said. “I really thought this was no big deal, that they get stuff like this all the time, but in fact this is only the second set of original letters,” he said. In the first letter, written Jan. 26, 1861, before he enlisted in his freshman year, he tells one of his sisters that he’s well despite a great deal of sickness, pneumonia and diptheria, in the college and how much he enjoyed the recent holidays at home. 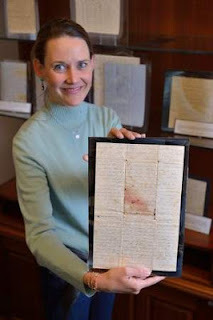 The last letter from Bridges is one he dictated on May 26, 1861 “thro’ the kindness of a Va. lady” following the amputation of his left leg after he was struck by a minnie ball during the Battle of the Wilderness. The last letter in the collection, dated June 3, 1864, came from the woman who wrote the previous letter, Louisa A. Smith of Staunton, Va., telling the family that Bridges passed away peacefully the day before. Smith also enclosed one of his shirt buttons and a lock of Bridges’ hair, which the family kept with the letters through the years. Reading through the letters chronologically shows how Bridges changed over the course of his service that included seeing action in battles at Manassas, Ball’s Bluff, the Seven Days Campaign, and Gettysburg, Martin said. After deciding to donate the letters to the university, Martin said the family delved into Civil War history, trying to learn more about Bridges. They found a picture of him — “he’s a good looking guy” — in a book detailing the history of the 11th Mississippi Infantry Regiment, which included the University Greys in Company A, Martin said. In the book, Bridges is listed on the Confederate government’s Roll of Honor, dated May 5, 1864. “He was included after that last injury so I think he was considered particularly brave,” Martin said. The special exhibit “Preserving Our Past” will be on display until January 2014 on the third floor of the J.D. Williams Library on campus. Besides select Bridges’ letters, the exhibit includes special pieces from the archives’ blues collection, including rare 78s of bluesman Robert Johnson, signed baseballs by Ty Cobb and Ted Williams and several pieces from literary collections. The Gettysburg Foundation invites you to join us for our special 150th Battle of Gettysburg commemorative event, Salute to the States, highlighted with a special performance by renown actor and playwright Stephen Lang. Lang will perform his solo piece, The Wheatfield, in which he, in the character of Medal of Honor Recipient James Jackson Purman, relates the events that transpired at The Battle of Gettysburg on July 2nd and 3rd, 1863. The personal story that Purman tells is both stark and rich in detail; highly emotional and intensely dramatic. It is an 18 minute tour de force of theatrical expertise. The performance will be followed by the world premiere of the short film The Wheatfield, written and acted by Lang; directed by Alexander and Adrian Smith; produced by Jake Boritt; original music by Robert Kessler; music performed by celebrated double-bassist Tim Cobb. Following the film an onstage Q&A with Lang and the filmmakers will be hosted by the eminent Lincoln scholar and author Harold Holzer. Holzer will conduct the interview and invite questions and comments from the audience. Registration/RSVP deadline is June 1, 2013. To purchase tickets and for more information, please call 717-339-2148 or visit www.gettysburgfoundation.org. 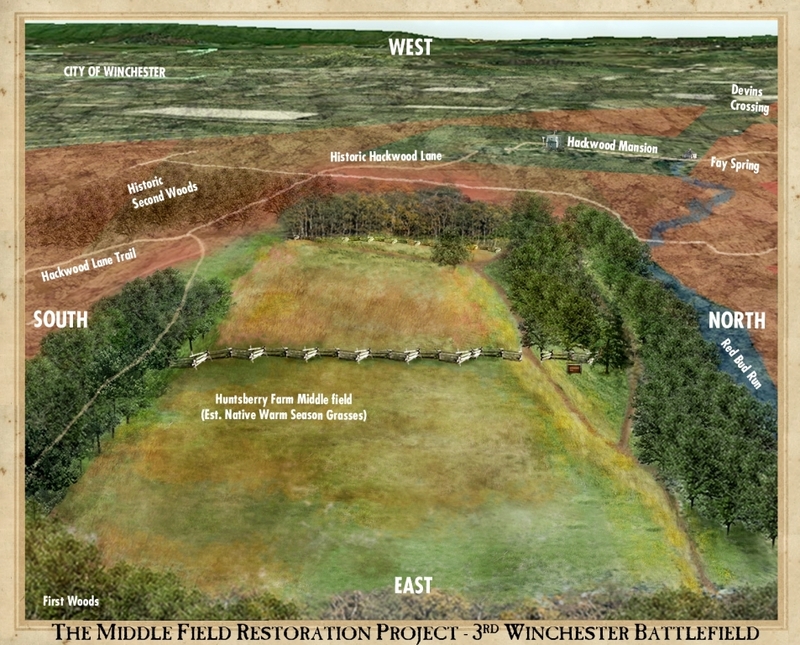 Five years ago, The Shenandoah Valley Battlefields Foundation purchased a 209-acre parcel of the Third Winchester Battlefield that included the infamous Middle Field where some of the most desperate fighting had taken place. In that one phase of the battle on Sept. 19, 1864, more than 3,000 men became casualties. Battlefields are usually purchased simply to be preserved. This one will be different. The foundation decided early on that the best preservation practices include land conservation, and made plans to return the Middle Field to its 1864 appearance. Soldiers encountered wheat stubble when they fought over the Middle Field and, if all goes well, visitors to the battlefield on its 150th anniversary next year will see the same thing. The $80,000 project is a big undertaking because wheat hasn’t been planted on the land for almost 50 years. In its absence, a thick undergrowth of shrubs and a dense stand of non-native trees have filled in the space. All of that has to be cleared before the land can be prepared for planting, a multi-year project if done by hand or even with tractors. Instead, the foundation brought in two large mastication machines capable of tearing up trees with trunks as large as four inches and crunching the heavy undergrowth and, best of all, leaving behind mulched material. Large oaks, cedars, red buds and dogwoods will be saved from the mechanical jaws. New tree plantings will probably include the American chestnut said Manager for Stewardship Chase Milner, who has filled a briefcase with his research into the farm and 1860s horticulture. Other plans for the Middle Field include planting an assortment of native warm-season grasses, a good habitat for wildlife. By early May, James Madison University and the Archaeological Society of Virginia will have begun an archaeological investigation of the Middle Field, according to foundation Executive Director Denman Zirkle. He is concerned that work will attract unwanted relic hunters, and to prevent that, he said the land will be posted against trespassers and patrolled round-the-clock by a private security company working in concert with the Frederick County sheriff’s department. 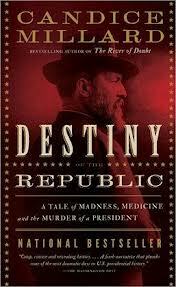 Destiny of the Republic: A Tale of madenss, Medicine and the Murder of a President, Candice Millard, Doubleday Publishing, 340 pp., 34 illustrations, bibliographic notes, bibliography, index, $28.95 hardcover; $16.00 trade paperback. On July 2, 1881 about four months into his presidency, James A. Garfield was shot in the back by Charles J. Guiteau using a .44 caliber British Bulldog pistol. Garfield died September 19 of the same year. He was medically attended to by D. Willard Bliss who had attendied Abraham Lincoln when he had been assassinated. Millard's book offers many intriguing stories regarding Garfield's death and his assassin's life. Among those aspects, Millard discusses the dissmissal by Bliss of Joseph Lister's work with germ theory and antiseptic surgery. Lister used Louis Pasteur's research in microbiology and he promoted the practice of sterile surgery. Carbolic acid used for cleaning wounds and sterilizing medical instruments reduced infections. During 1867-1869 Lister introduced his discovery to British surgeons. Throughout the 1870s sterilization became a wide spread practice in England. Bliss appears to be represenative of American doctors in 1881 in that he dismissed in the 1870 Lister's work. Additionally, Bliss excessively probed Garfield's wound and inadvertently created a new wound in Garfield's body. Millard's story contains insights to the American medical establishment of the late 19th century. Also, she covers the politics and the diagnosis of mental illness during this era. Destiny of the Republic: A Tale of madenss, Medicine and the Murder of a President is a nicely paced narrative that is accessible to the general reader.